If you’re shopping around for a new Acura near New York City, we’re guessing you want a vehicle equipped to drive in all four seasons, including the sometimes treacherous winter weather. The new 2019 Acura RDX is a compact SUV, and it might be exactly what you’ve been searching for. Great for families, the redesigned 2019 Acura RDX, which is the third generation of its kind, is quicker and quieter, as well as better equipped to power through slush and snow, thanks to a turbocharged four-cylinder engine and 10-speed automatic transmission. It produces up to 272 horsepower and 280 lb-ft of torque, and it’s available in both front and all-wheel-drive. Vehicle Stability Assist™ with traction control and motion adaptive steering and Agile Handling Assist™ both come standard. The all-wheel drive system, Acura Super Handling All Wheel Drive™ (SH-AWD®), is ideal for driving during extreme weather conditions and on rural roads. All Acura RDX models come with the Integrated Dynamics System as well as four drive modes: Comfort, Sport, Sport Plus, and Snow. According to recent reviews, the Acura RDX certainly has an “emphasis on performance,” but that doesn’t mean it lacks interior luxury with the four trim levels it offers. Other highlights in this vehicle include a high-deck floating center console, new exterior accents, Acura True Touchpad Interface with voice recognition, special Goodyear tires, LED fog lights, and more. This vehicle is roomier than previous model years, which is definitely a bonus for families. We would love to show you the new 2019 Acura RDX in person, so come on by our Huntington Station car dealership to do so. We have a feeling our New York area drivers are going to love this model for the space, comfort, and weather preparedness it offers. 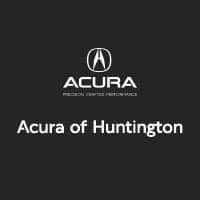 Visit Acura of Huntington for a test drive today!